Would Intel C2104 DRAM work? I know this isn't very authentic (I just really like the look of white ceramic/gold chips), but would INTEL C2104 (4096x1) DRAM work in place of MK4096 DRAM on a Mimeo-1 build? And if so, is it okay to (temporarily, at least) mix and match different sources/makes of the DRAM as long as they're compatible (like having some C2104 and some MK4096 on the same board)? But I probably have no clue what I'm talking about... this was probably a stupid question... but thanks so much for any help! Re: Would Intel C2104 DRAM work? I am definitely not an expert, but I think the answer to both your questions is "yes." ...or at least, "maybe." And it actually might be authentic too. If you check out Mike Willegal's Apple-1 Registry, scroll down to Winston Gaylor's Apple 1. The description of the board includes the line "A mix of DRAM." Five of the DRAM chips there are definitely white ceramic / gold pin Intel chips. However, the photo there isn't high-quality enough to make out the print on the chips. I don't know what kind of differences there are between C2104-2, C2104-4, C2104-6, etc. so I'm not sure which specific ones would work or wouldn't work, and which are the most authentic. But since they're all 4K DRAM, I don't see why they wouldn't work. Don't take my word for it though, hopefully someone else can confirm for sure. I just ordered a Mimeo and was actually thinking of doing this myself as well. I'm never going to be in a place where I could afford a ceramic/gold 6502 or 6820, so some far cheaper C2104's would be a way to at least add some flare to board. It occurred to me I have a couple of Processor Tech 16KRA s100 cards full of C2104. I also checked my MITS 16k cards, but they are MK4096 and 1976 date codes!!!! Now that is tempting.... anyway. I'll pull some ram today or tomorrow off one of the 16KRA cards and check how they work in a Mimeo. On paper they should. As for mixing, I'd try not to mix in the same bank of ram, you may have problems. 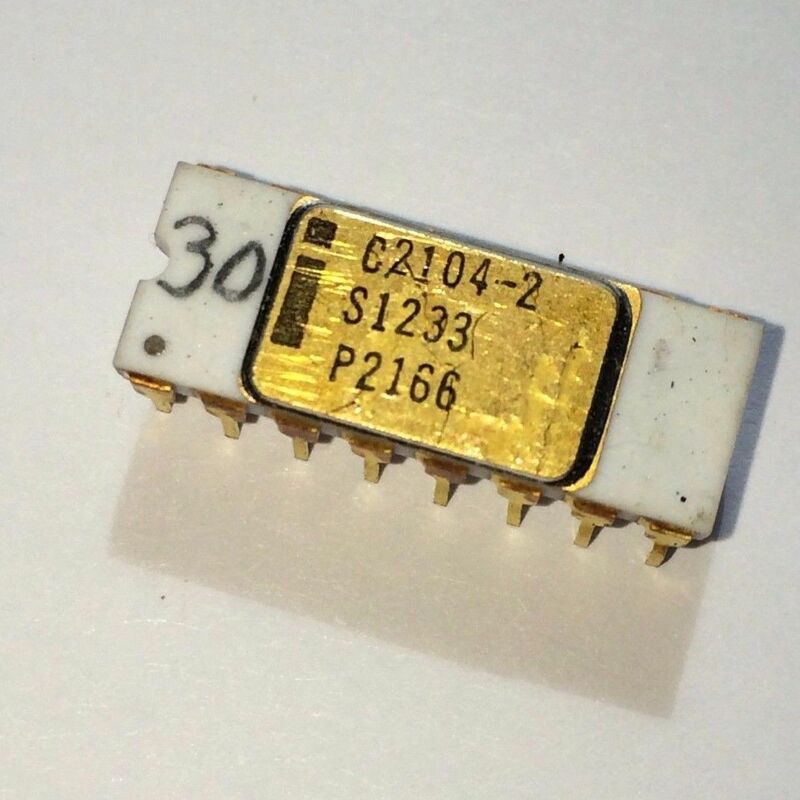 Different banks are OK.
OK, tested a nice set of ceramic Intel C2104-6 date code 1976 (listed underneath the chip) from one of my PT 16KRA cards. Works fine in my test mimeo.